Muffins are a similar-looking but entirely different creature. Muffins have a craggy, irregular crumb structure unlike the aerated, regular, sliceable cupcake interior. 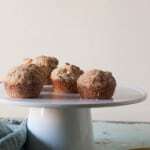 And muffins tend to have significantly less sugar and sometimes they have whole grain flour (like these cinnamon sugar oat muffins), which makes the texture altogether more nubbly and breakfast appropriate. 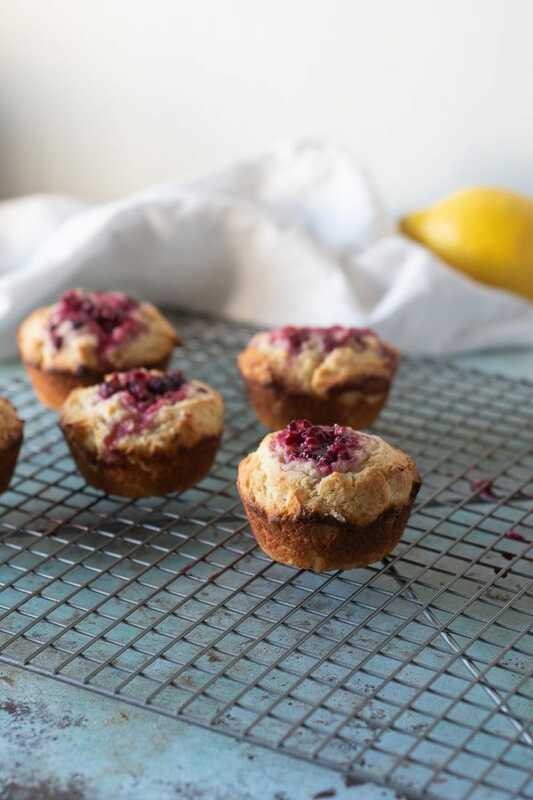 And when you add in fruit, like raspberries, and make them with olive oil and yogurt, like these raspberry lemon muffins, well you get something that makes you want to tiptoe into the kitchen on a weekend morning and turn on the oven. These muffins are, at heart, lemon muffins. 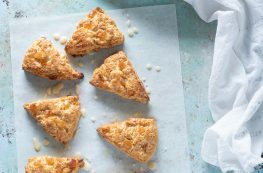 The batter is shot through with lemon zest and enlivened with olive oil, which plays well with the citrus flavor. I like to use a gentle, fruity olive oil (I’m partial to Merula) for this and leave the assertive, peppery olive oils for my salads. 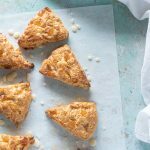 They also get a boost from the acidity in Greek yogurt, which brings in a subtle tang and makes the muffins moist and tender. 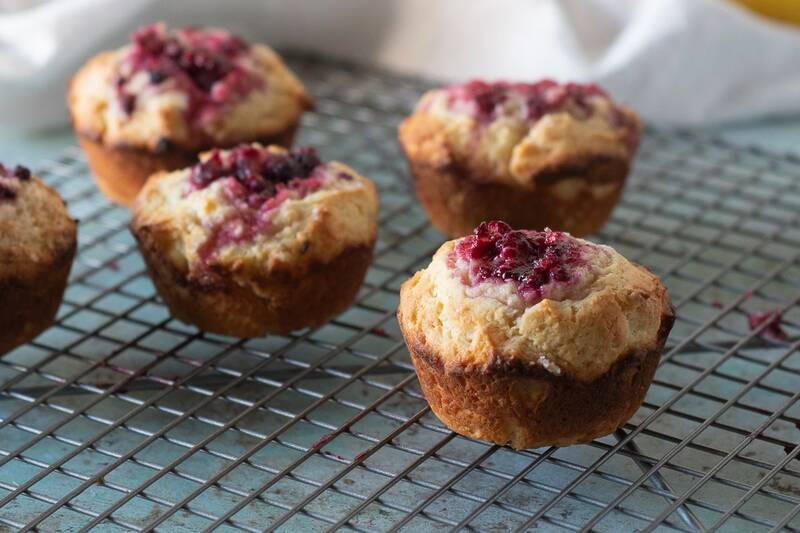 And, as for the raspberries, rather than being stirred into the batter, which is always a dicy proposition for such delicate berries, they get tossed with a little sugar and nestled into the middle of each muffin before they go into the oven. And there the raspberries slump into jammy puddles of intense raspberry flavor that provide a lovely counterpoint to the lemon. These muffins are rustic and lovely in that unfussy, I-just-threw-this-together-and-look-great kind of way. 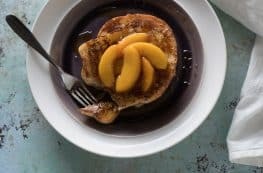 It’s a weekend breakfast that’s special, and delicious, but also doable even for busy people. The only slightly tricky thing about them is that the raspberry middles can slip out a bit messily if you turn the muffins out onto a cooling rack. That isn’t the end of the world, and you can sort of gently put the stray raspberry bits back and no one will be any the wiser (I promise I won’t tell). 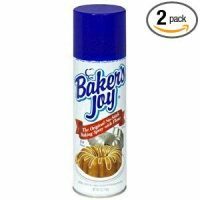 But, if you want to avoid this (especially if you have counters that can stain), I recommend using a fork or a butter knife and an oven mitt to gently remove each muffin from the tin to cool. Just find a stray half hour on a lazy morning and treat yourself. 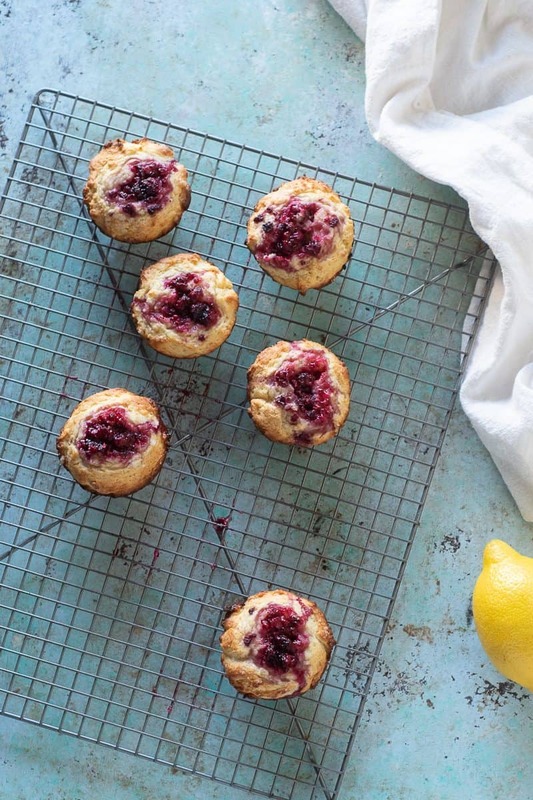 These raspberry lemon muffins are, at heart, lemon muffins with jammy raspberry middles. 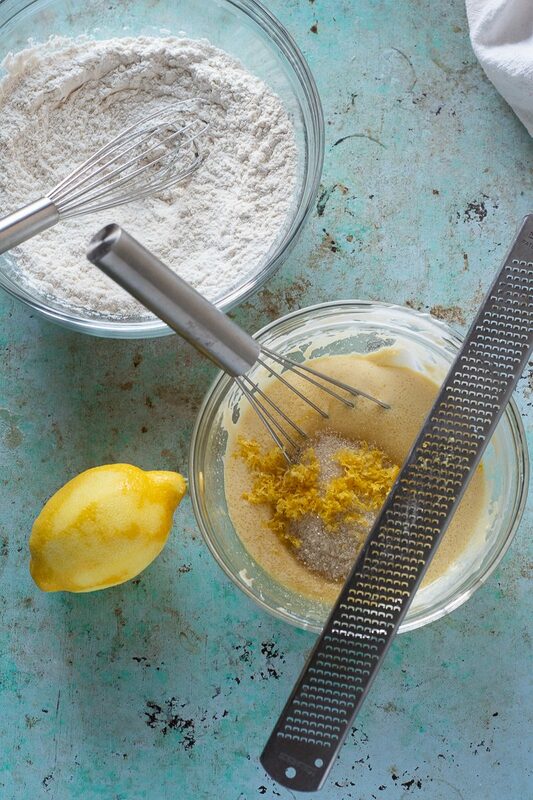 The fats in this batter come from olive oil (choose a mellow one) and Greek yogurt. I recommend full-fat or 2% here for the best texture. Be careful when removing the muffins from the tin--the raspberry middles can get a bit messy. 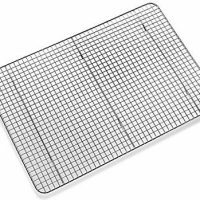 You can turn them out and accept a little mess or carefully remove them one by one from the muffin tin, your call. Preheat oven to 375°F. 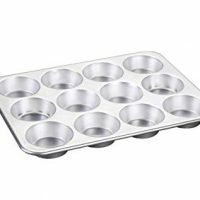 Spray a muffin tin with nonstick spray. 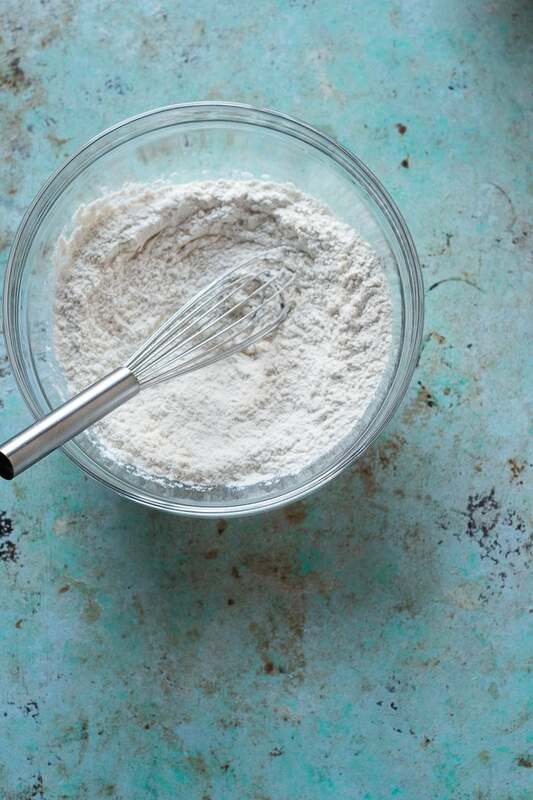 Add flour, baking powder, and kosher salt to a mixing bowl and whisk together. In a separate bowl add the yogurt, olive oil, eggs, and vanilla and stir. Add 1/2 cup of the sugar and zest the lemon over the sugar. Stir again. Add the wet ingredients to the dry ingredients and stir until just combined. 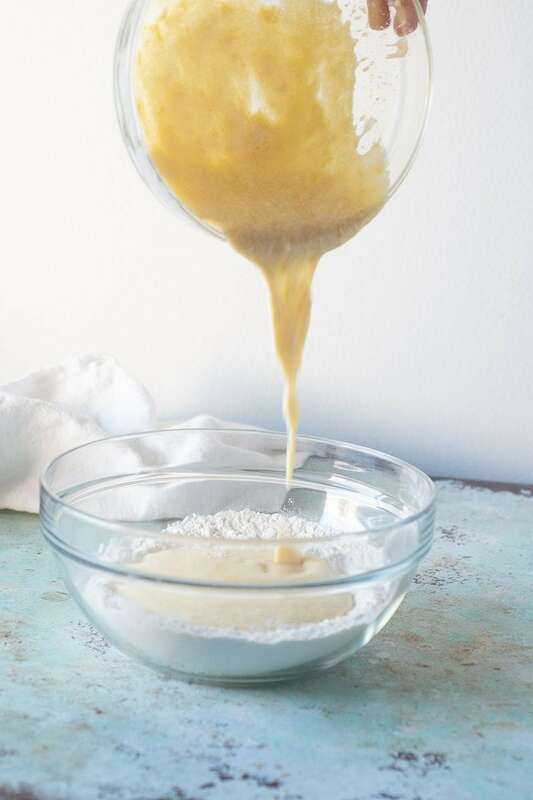 Divide the batter even between the 12 muffin cavities. Add the remaining 2 tablespoons sugar and raspberries to a small bowl and stir. 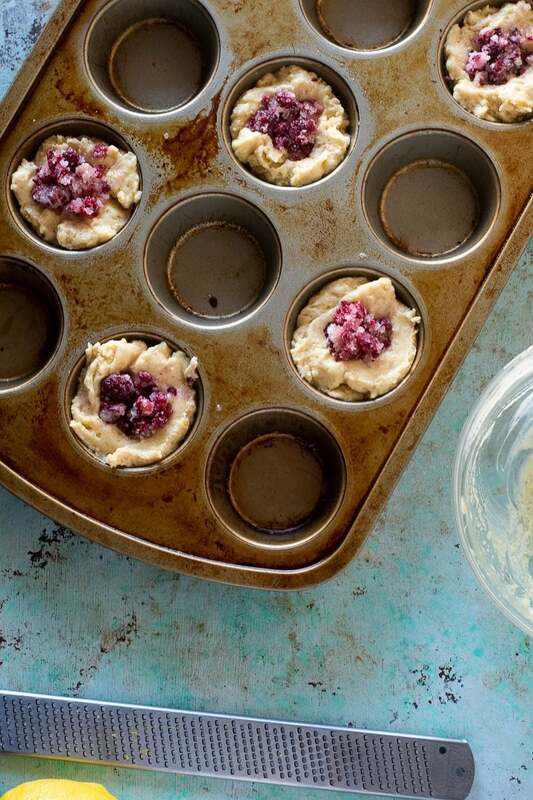 Press a rounded tablespoon of raspberry-sugar mixture into the center of each muffin. It should go about halfway down into the muffin batter. 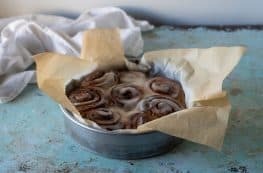 I admit, I’m one of those who often thinks of muffins as cupcakes without the frosting — but, you are totally right, the texture of the “cake” is really different. This recipe sounds so wonderful — I adore the flavor of lemon and berries! These sound delicious! I love raspberries and lemon so I am really looking forward to trying this recipe! You had me at Jammy! haha . 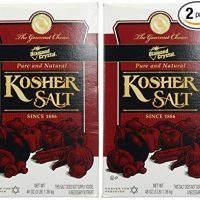 I can’t wait to try these they look amazing. I love making muffins so my husband can grab them on his way out the door for breakfast! These are a favorite for sure! These sound awesome! Raspberries are some of my favorite, so these are right up my alley!